As seen in the video above, I have also started carrying things a bit differently than before too. In my prior video, I pretty much threw everything inside the bigger (Ditty) bag. Now though, I am a bit more organized, which IMO also makes it a bit simpler. I now divide (most) everything up into 2 different, smaller, 3×5 Loksaks. In one I keep First-Aid items and in the other is my repair items as well as some extras such as batteries. For the most part, many of the items in the Ditty Bag are actually permanent items that always go with me, but there are some items that vary. Depending on time of trip, length of trip, number of people who is going with me as well as “weight-class” of trip, some items may be more or less, and some may even be there sometimes, and sometimes not… Basically, each trip has a different set of needs, so rather than having one default Ditty Bag, I take the time to match the items in my Ditty Bag to the trip. Feel free to share what items you carry inside your Ditty Bag, and until then, thanks for reading/watching! This entry was posted in Ditty Bag and tagged Backpacking, Ditty Bag, Hiking. Bookmark the permalink. 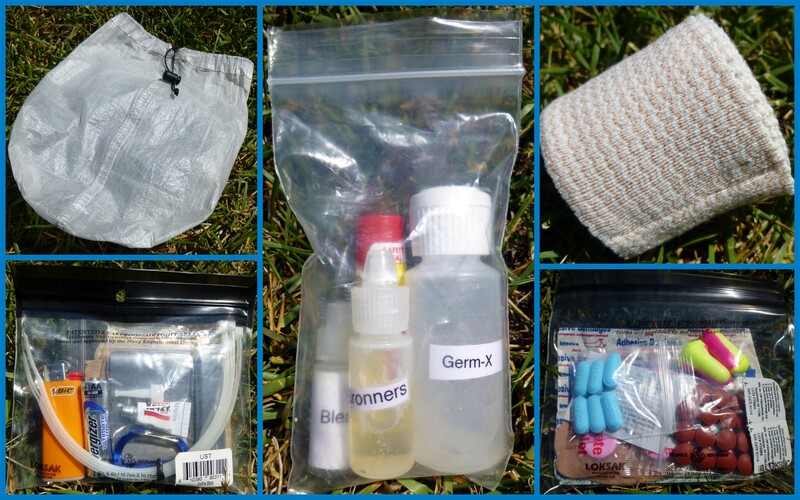 8 Responses to UPDATED: What’s In My Ditty Bag? I liked this post. 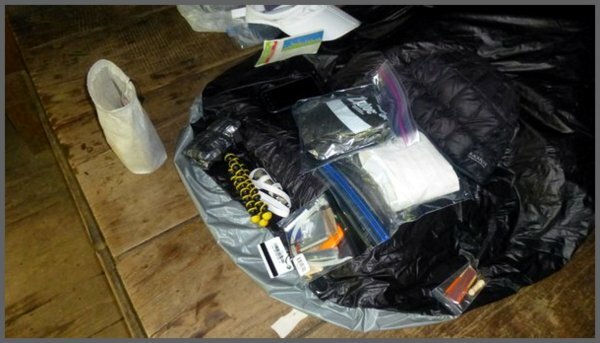 I carry a similar ditty bag on my hikes…I have to say yours is a little better organized than mine. I think that the Ditty bag is a great little piece of kit, and it can definitely help make the hike go much smoother. I have changed mine so much in the past though…this is probably why it is as organized as it is though… It’s all good though! thanks for sharing, lots of good ideas and what to and what not to take a long. Do you think you mite want to put your SD card in a separate little bag (not sure if it could get messed up, rubbing on other items)? Also, where does the O ring that you said go’s to your GG poles, actually go ? While your ditty bag is much more comprehensive than mine, I also use Aloksak for the housing. Using the medium size from the 3-pack, I keep 2 guaze pads, a band-aid, duct tape(coghlan’s small roll), 3M Transpore medical tape, and a ziplock with pills. 3 Ibuprofen per day, 2 benadryl, 2 Sudafed, 2 anti-diarrheal, and 1 Zyrtec per day. Added to this are hand sanitizer, Wisp Toothbrushes, and floss/toothpick combos. It’s minimal, but hasn’t let me down. Thanks for stopping by and commenting! And I find your last sentence to be key… That is the whole point here…getting it down to the bare minimum that won’t let us down… Anyway, your kit sounds like it works for you and that is what matters. Thanks for sharing. I always enjoy reading how you keep changing things up to keep the weight down on what you carry. Your blog keeps me on my toes as far as not taking things I do not need for a given trip. Thanks, Two Tents. Thanks for reading, and glad that you enjoy it!